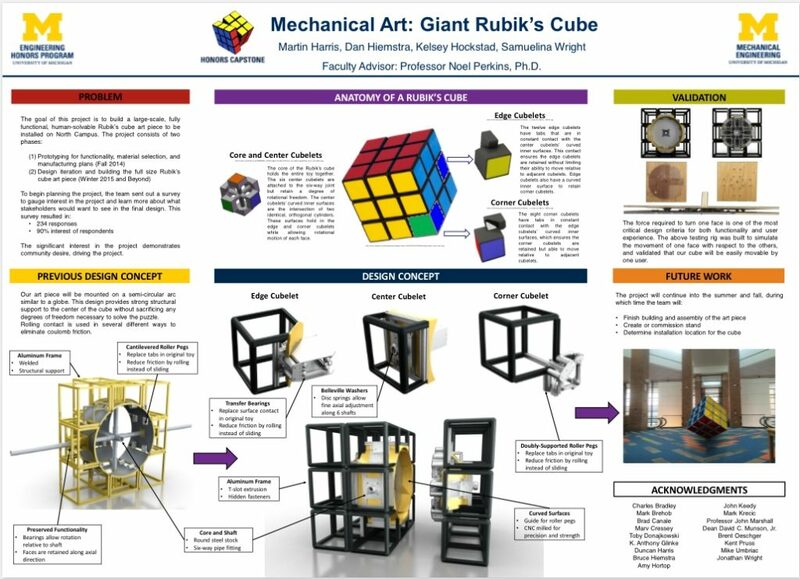 University of Michigan mechanical engineering students have built “the world’s largest hand-solvable, stationary” Rubik’s Cube. Fashioned primarily from aluminum, it weighs 1,500 pounds but can be manipulated by one person. The puzzle is available for solving in the campus’s mechanical engineering building. The first group of students came up with the idea for the cube on Pi Day, 2014. 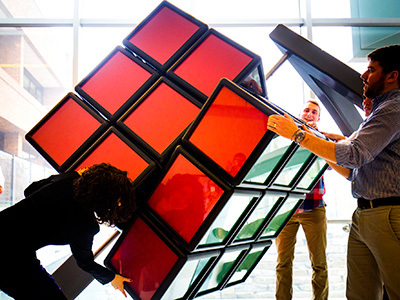 Martin Harris, who can solve one in 43 seconds, and Samuelina Wright, who can deconstruct one and reassemble it in a solved state, were hanging out in the College of Engineering honors office. Harris was fiddling with his cube when Wright had a vision: What if they made a massive version as a nod to the central campus sculpture? He trobat el mecanisme del Cub gegant, de fet són pòsters que corresponen al desenvolupament d’aquest model: https://seelio.com/w/u0x/mechanical-art-giant-rubiks-cube?student=martinharris. Un tema molt atractiu, doncs! Es pot estar parcialment atent al que es diu en una reunió?